This level have a normal difficulty and again almost similar to previous level. 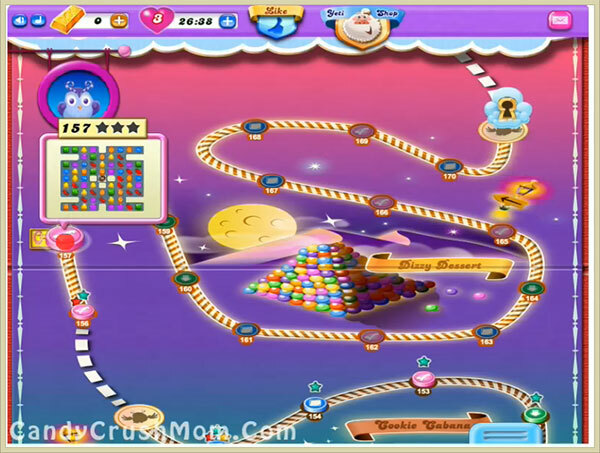 For this level you need to play near to chocolate machine that is in the middle of the board and make special candy anywhere you get chance. Then wait till moon stuck as it will break candies automatically and give chance to make more colorbomb that will help to collect all the orders. We completed this level with 44900 score by playing near to chocolate machine and got few special candies that help us to collect all the order with two star score.